One of the many fascinations of exploring tropical waters is to appreciate the beauty and diversity of life on and around the coral reefs. Multicolored corals of great size and shape along with hundreds of species of fish, sponges, invertebrates and anemones act as a backdrop for divers and snorkelers who slip beneath the surface to explore the secrets of the deep. As sailors, we possess a heightened awareness of the aquatic environment and therefore we logically assume an ongoing moral obligation to help protect and restore the health of these fragile eco-system for future generations. Marine ecosystems are extremely important for the overall health of both marine and terrestrial environments. According to the World Resource Center, coastal habitats alone account for approximately 1/3 of all marine biological productivity and estuarine ecosystems (i.e., salt marshes, seagrasses, mangrove forests) are among the most productive regions on the planet. In addition, other marine ecosystems such as coral reefs, provide food and shelter to the highest levels of marine diversity in the world. Although human impacts on the Caribbean reef system predate the arrival of European settlers in the 15th. century, it is only since the 1970s that large declines in coral cover across the region have occurred. These declines were due, in part, to outbreaks of disease which impacted much of the branching corals and spiny sea urchins during the late 70s and early 80s. Overfishing and land-based run-off due to human development fundamentally weakened the ability of the reefs to recover from these impacts. As stewards of the marine environment, we sailors have not always been as “green”as we would like to think of ourselves. We have pumped sewage overboard, operated gas and diesel equipment that pollutes both water and air, used toxic paints to retard marine growth and utilized cleaning products that are not always environmentally friendly. It is time that we all take up the banner of protection, educate ourselves and our crew and do our small part to minimize further impact. They are voracious eaters and can strip a reef of juvenile fish within five weeks and without the fish the reef can choke and die. 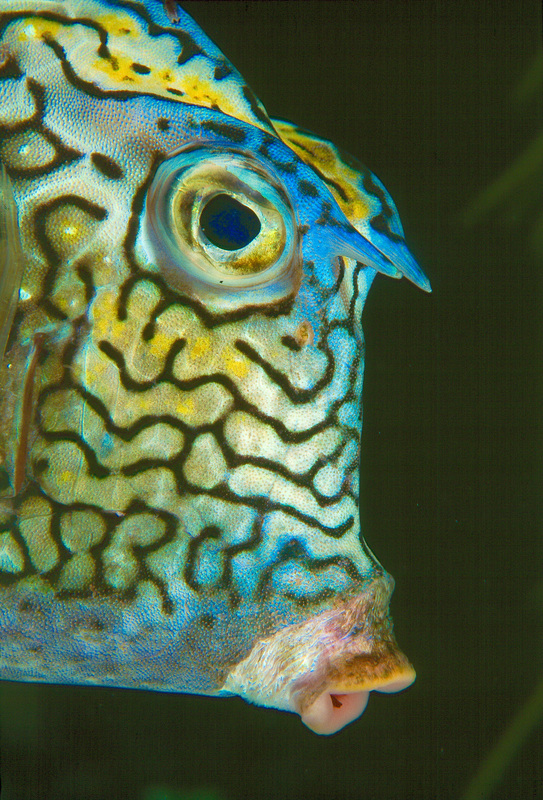 This graceful fish with lacey fins, handsome stripes has no natural predators in the Atlantic and are aggressive, voracious and prolific. Lionfish possess venomous spines capable of deterring predators and inflicting mild to severe stings and reactions to humans. 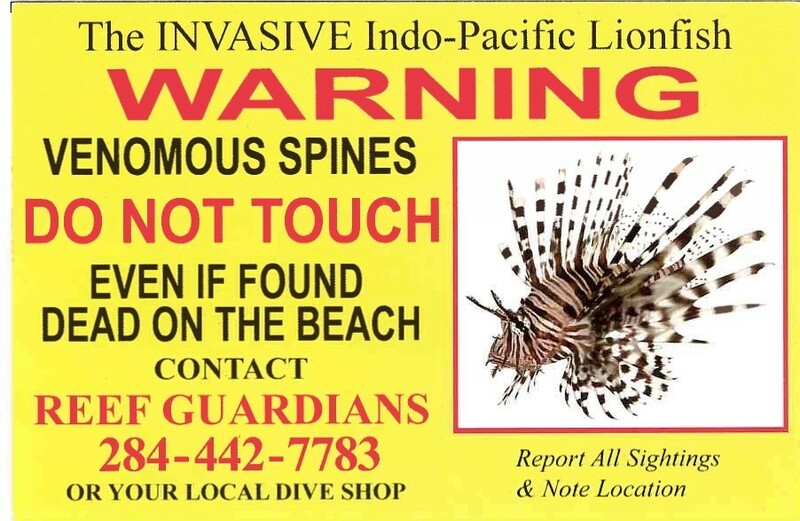 If you see one in the water do not touch but report the location to a local dive shop or call the number below. 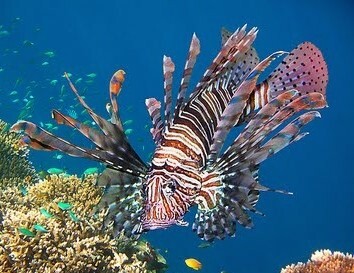 Lionfish inhabit all marine habitat types and depths (shoreline to 1000ft). If stung, flush with fresh water, immerse in hot water and contact a local doctor. Sea turtles are one of the Earth’s most ancient creatures. The seven species found today have been around 110 million years, since the time of the dinosaurs. The sea turtle’s shell or “carapace” is streamlined for swimming through the water, but unlike other turtle’s, sea turtle’s cannot retract their legs and head into the shell. Sea turtle’s do not have teeth, but their jaws have modified “beaks” suited to their specific diet. Sea turtles have long fascinated people and have figured prominently in the mythology and folklore of many cultures. Regrettably, the spiritual significance has not prevented them from being exploited for both food and profit. At one time millions of sea turtle’s roamed the earth’s oceans, but now only a fraction remain. 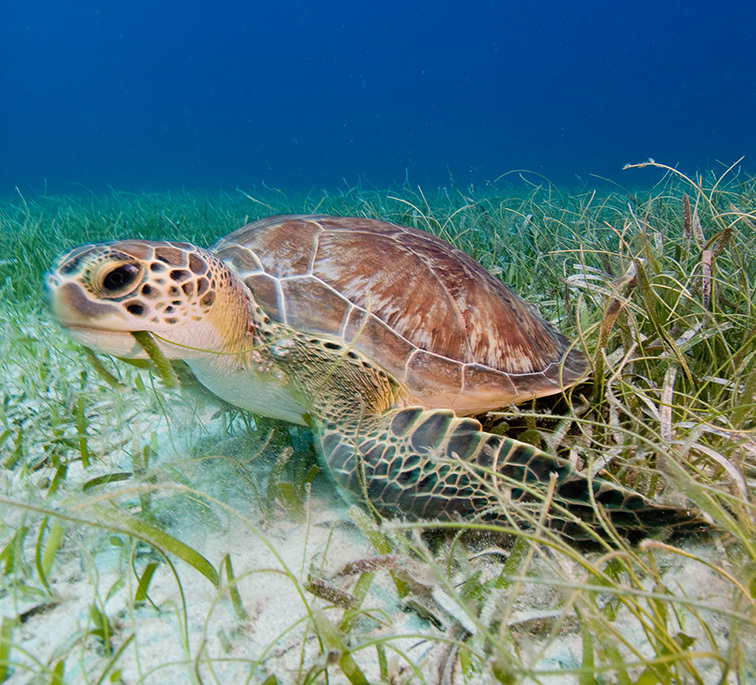 Seagrass beds are important feeding and breeding habitats for many marine species including sea turtles. Unfortunately, seagrass beds have been on the decline both in the Caribbean and the East Coast of the USA. They also tend to be relatively sensitive indicators of water quality and researchers are studying trends in seagrass abundance to determine the ongoing impact by humans. In addition to pollution, seagrass beds are extremely vulnerable to damage by boat propellers and anchors. 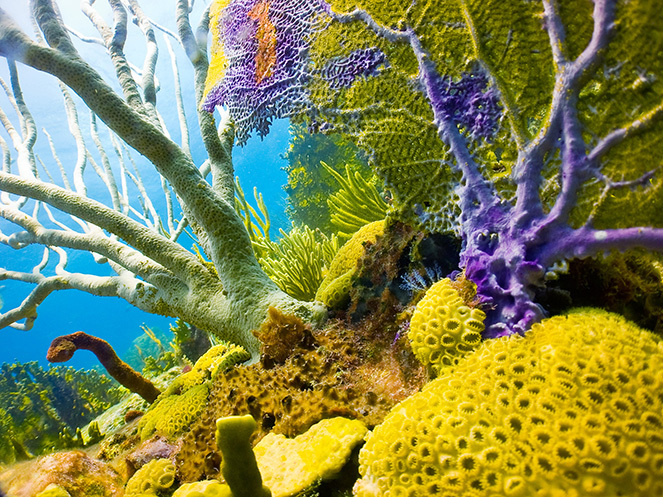 Risk analyses indicate that more than 90% of the world’s reefs will be threatened by climate change and local anthropogenic impacts by the year 2030 under our current climate scenario. Increasing temperatures and solar radiation cause coral bleaching that has resulted in extensive coral mortality. 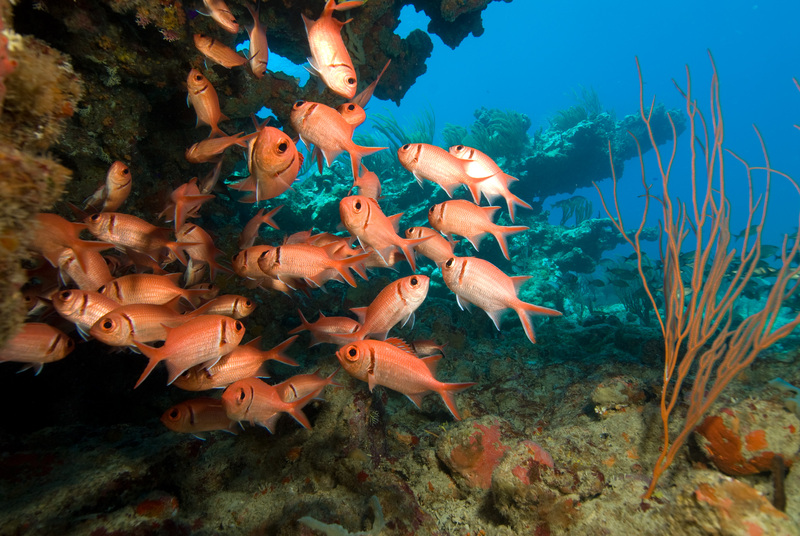 Major storms and hurricanes as well as other long term stressors such as coral disease, over fishing, sediment runoff, nutrient enrichment, contaminants and abrasion of the reef structure by debris, vessel scarring and carless snorkelers and divers place additional stress on these fragile ecosystems which are fighting for their survival. As sailors, we all derive great pleasure from snorkeling and diving on the Caribbean's coral reef system. I return we assume the natural responsibility of stewardship to ensure they will be here and healthy for future generations to enjoy. Reduce our direct impact. Don’t touch corals when diving or snorkeling, make sure your equipment does not drag across the reef, make sure outboards do not come into contact with reef systems and do not anchor in or near coral. Do not collect corals. Eliminate pollution. Don’t pump marine heads or holding tanks when moored or anchored near coral. Vessels should not discharge in BVI waters within 300 yards of the shoreline. Never discharge oily bilge water or waste and never throw food scraps over the side. Educate your crew and passengers on the devastating consequences of coral bleaching and ocean acidification and ensure they understand the impact of coral harvesting. Support reef conservation efforts. Review the resource links below and get involved in a conservation effort.